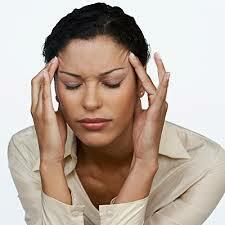 Can massage really ease a headache? Massaging our temples or our forehead when we feel a headache coming on, particularly with lavender essential oil, is a common natural remedy to avoid reaching for the painkillers. So does it work and if so, why? Yes, according to face yoga expert Danielle Collins and it’s all to do with acupressure points, used for centuries in Ayurvedic and Chinese medecine. Read the article here, then visit her face yoga website if you want more information. Here at Just Massage we can help you on two counts. First, there’s our ever-popular rejuvenating facial massage, which uses traditional Chinese massage to relax tension in the face, particularly around the jawline and forehead. Or try out a traditional Indian Head massage based on the ancient Indian system of medecine, Ayurveda. Indian Head massage can help relieve muscular tension, emotional stress and mental fatigue, all of which may cause headaches. Here’s a final mini-massage routine from the Femina article I spoke to you about in earlier posts (A massage for around the eyes and Facial massage is good for you). This is one to incorporate into your night-time routine. 1. Smooth your face by placing the fingertips flat against the jaw and pushing upwards to the middle of the forehead, lifting the skin slightly as you go. 2. To release tension in the face, pinch the skin lightly with the tips of the index and thumb. This needs to be brisk and symmetrical (both hands at the same time). To finish, place the palms of your hands around your neck and smooth downwards to improve drainage. And let me remind you once again that Just Massage has a wonderful facial treatment to disover (or re-discover) in its Rejuvenating Facial Massage, as well as Indian Head Massage which incorporates a facial massage in its longer (60 minute) version. Following on from my blog about the Femina article on facial massage, here is their mini-massage routine for the delicate eye area. It will stimulate blood circulation and lymphatic drainage to this area. This willl improve the appearance of dark shadows and puffiness. Be careful though: this is a delicate area, so go easy. 1. Start by applying your normal under-eye cream (or face cream). Using your fingertips, tap the under-eye area that shadows and puffiness favour as if you’re typing or playing a mini piano (a technique called tabla playing in massage). Do this at least ten times from the inner to the outer corner of the eye. 2. To help smooth the frown lines between your eyebrows, apply pressure at regular intervals just above the eyebrows with your index fingers, moving from the centre outwards. And to optimize the effects, treat yourself to a rejuvenating facial massage with Just Massage where you’ll get all the benefits of a facial massage in the comfort of your own home. Click on the link for more details. Check out our Indian Head massage too. Seen in the Femina magazine (Sunday supplement to the Sud Ouest newspaper)- a full-page article on the benefits of facial massage. As if we needed telling here at Just Massage. So what does the article say? Well, apart from giving three self-massage rituels (see below), it notes how, by applying your face cream with specific movements, the deeper tissues are stimulated. For an anti-wrinkle treatment, a good massage will activate acupuncture points on the face and relax tense muscles. The more often you massage, the better. Well, if it’s painful or if you cause persistant redness (a little is normal) to your skin, you’re maybe overdoing it. Put a blob of cream on both cheeks, then spread it over the face using your fingertips in smal circular movements from the bottom to the top of your face. Then “smooth out” your deeper lines (forehead, around the mouth), using your fingertips or the base of your hand. Finally, place your palms on either side of the nose and pull out firmly towards your ears. Repeat at least 3 times. Here’s a link to an earlier blog for a 10-minute facial massage. And don’t forget, Just Massage offers a super anti-ageing treatment in its Rejuvenating Facial Massage. Check it out by clicking on the link, then pick up the phone and book an appointment!